This week has flown by but its gone really well. Week 8 was probably the one I was most worried about. 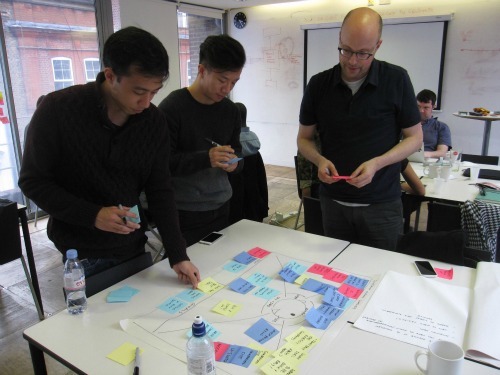 For the last 3 weeks of the UXDI course we are working on a client project - this time with a real-life company who really do need our help. It is also another team project (and you know how the last one went), and it means there are only 3 weeks until we finish the course and are released out into the wild! All reasonable things to worry about I think. However there was nothing to worry about (as is so often the case with these things). We were given our teams and briefs last Friday and I found myself assigned as team mentor working with Simon, Ben and Zhenjie. My role as team mentor is to keep the team organised and make sure we keep to schedule, along with all the other UX stuff, and as I love planning this is my perfect role. We started the week by meeting with our client Rishabh to get a better understanding of his company and the issue he needs help with. 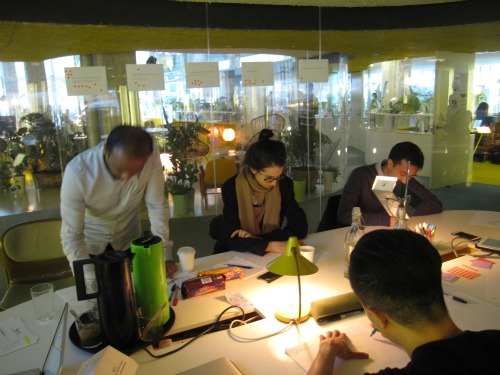 Then it was into the UX process which we’ve just spent the last 7 weeks learning, concluding this week with a ‘design studio’ on Friday afternoon where Rishabh and his team joined us in generating ideas. 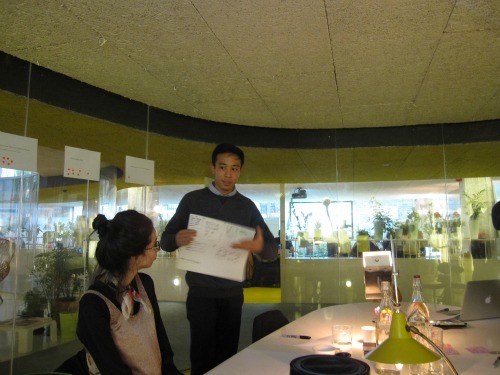 It was a really fun session and and we got some really interesting ideas out of it, perfect for next week which is design week. Thanks to anyone who filled in our survey or let us interview you! Without your input we wouldn’t be able to start designing tomorrow. 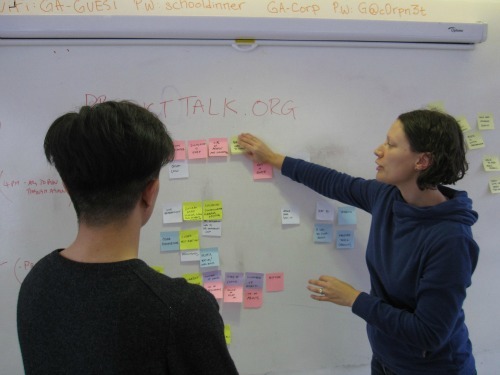 This week we also had lectures on Working with Client and Content Strategy, and Olga from Red Badger visited us on Friday to talk about Kanban - a method of organising your time and work. Sadly we missed some of that due to the ‘design studio’. If next week continues in the same vain as this one then we have nothing to worry about, although I can’t help but be glad that we gain an hour tonight.